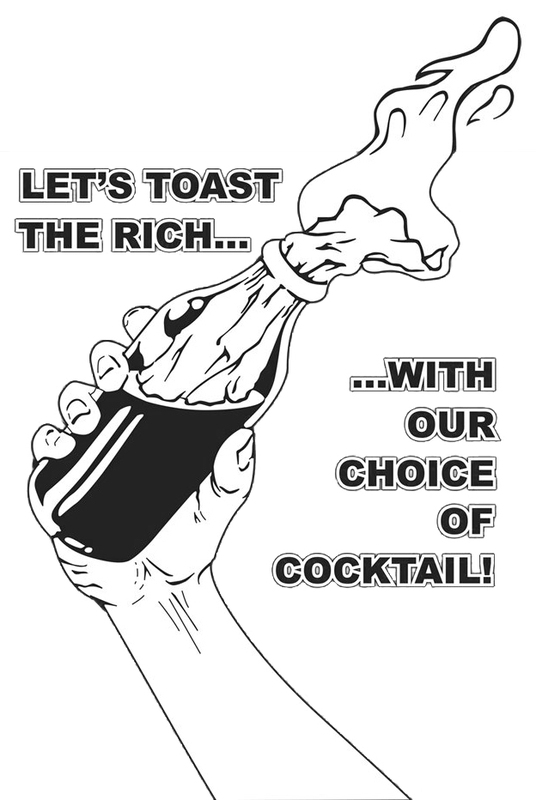 THE RICH SIP CHAMPAGNE WHILE WE’RE LEFT TO STARVE! “The Huffington Post reported yesterday that the Houses of Parliament have spent increasingly large amounts of money on champagne under the current Coalition government. That should come as no surprise considering that there are eight bars serving alcohol to an extremely exclusive clientèle. But the fact that MPs are spending more and more money of bubbly while millions of people rely on food banks for survival, is sickening if not outright disgusting. A Freedom of Information request revealed that staff at Westminster spent £275,221 buying in more than 25,000 bottles of champagne since the coalition took over in May 2010. The House of Commons currently has 582 bottles of champagne in stock, at a total worth of £6,513. What’s even worse is that the many bars frequented by these toffs are subsidised by tax payer money, meaning we have to pay so they can enjoy a cut-price pint! Meanwhile the Trussell Trust, the leading charity behind the country’s almost 300 food banks (with three new ones opening every week), said they fed at least 346,992 in 2012-13 and the price of alcohol keeps on rising. Pints now cost 20 times more than they did 40 years ago, but of course that doesn’t bother somebody who lives off a tidy £66,396 of taxpayers money a year (and they have the audacity to claim about “benefit cheats”!). While the rich sip champagne the poor are left to starve. The only solution is to supersede the state and start organising to meet our own needs. No party will ever give us what we need, because they are first and foremost a party of the rich, and the interests of the rich and powerful will always be against the needs of the working class. Voting won’t change anything, only direct action will!